Do you have Hosted Adsense Account??? Then this article will make your face glow. Every blogger wants to earn money from their blogs by using Google Adsense and other advertising networks. Most of the bloggers prefer Google Adsense but getting Adsense Approval is not easy task. Because they approve blogs with high quality content, proper structure and blog should be at least 4 months old. That's why most of the newbie bloggers try hosted Adsense account which they get by using YouTube monetization. But there is a disadvantage with hosted Adsense account, you can't use that Adsense account on all website because it is available for blogspot blogs only. What is the Difference between Hosted Adsense Account and Normal Adsense Account? Both accounts have same user interface and same ad units but the main thing is Hosted Adsense Account doesn't work on custom domain websites. That's mean you can't use on custom domains like .com, .net, .org. It is only available for Blogspot blogs only that is different from Normal Adsense Account can use ad units with all websites. Actually the process of converting hosted Adsense account into normal Adsense account is easy but the approval process is little bit tough. For most of the websites it was disapproved because of low quality content, poor website design and some other reasons. 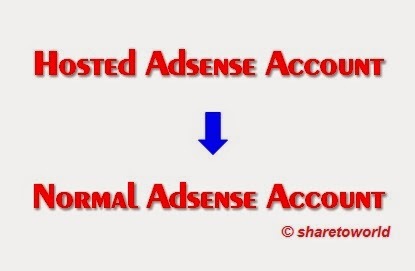 Here's the process to convert from Hosted to Normal Adsense Account. 2- Select "Account Settings" and scroll down to bottom of the page and choose "Access and Authorization" section. 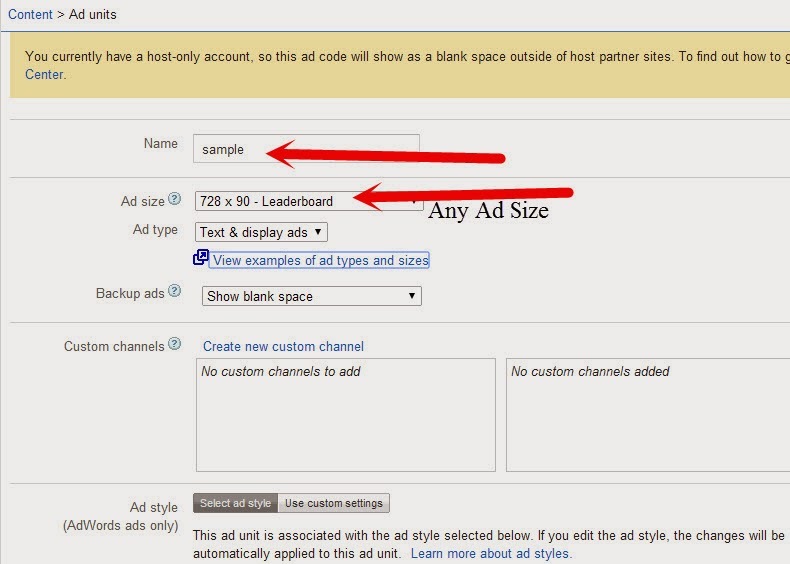 4- Type the website name in which you want to display Adsense ads. 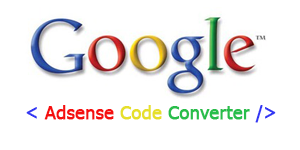 8- Copy the code and paste it in your Website which you already submit for Adsense Approval. Now wait for few days to receive message from Google Adsense regarding about your Adsense approval. Normally it takes more than 15 days to approve your website because they perform manual review of your website. Once your applications was approved, you will get the email from Google Adsense team. That's it! Don't forget to share this awesome tip to your friends! I really enjoyed the course thanks to our tutors and the system they have created - prompt exam practice feedback.Thank you! It was the best education experience in my life. Awesome Post, It was just a wonderful and unforgettable experience with great. This blog contains so many interesting stuff that makes me want to visit again and again. Look forward for more interesting updates..
YOU ARE A CRAZY HUMAN BEING…….!! ALTHOUGH. CREATIVE CONTENT…….THANKS FOR SHARING…..!!! This blog post is very helpful or needed for the future posts. great blog, It's True information.Thanks to sharing. wonderful article, Thanks for sharing the very informative article. The information you have deliver here is really useful to make my knowledge good. Thanks for your heavenly post. Usually I never comment on blogs but your article is so convincing that I never stop myself to say something about it. Really very informative post you shared here. Keep sharing this type of informative blog. Waiting for your next update. I have read your blog, it's very interesting and useful. Thanks for sharing Keep updating. I was very impressed with how the course was organised. I also liked the amount of interaction and practice time we were given during the input sessions. Good Post..Thanks for sharing this informative article..